The convention center was designed for efficiency, from harvesting daylight to capturing millions of gallons of rain water, foundation groundwater and condensation water annually. 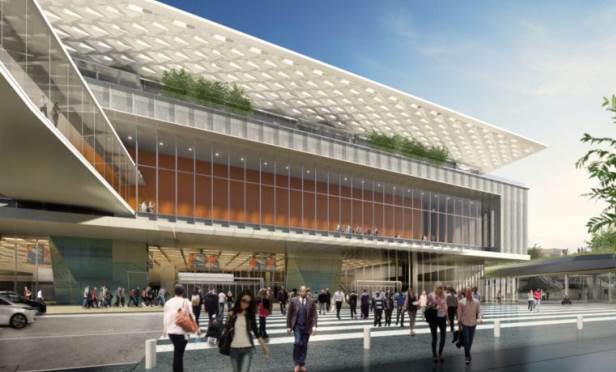 The Moscone Center expansion exemplifies the climate-conscious building of the future. SAN FRANCISCO—The Moscone Center expansion, a construction manager/general contractor-led integrated project delivery development, involved reconfiguring the convention center’s North and South Exhibit Halls to increase exhibition space, resulting in a total expansion area of 350,000 square feet, with four levels above grade and one level below grade. The project increased contiguous exhibition space, ballroom, meeting room, retail and support spaces.